Thank you for your interest in AXIS Dance Company's Summer Intensive and Teacher Training. Please fill out the form completely. If yes, please detail specific room requests/needs. Please limit to 250 words or less. Please limit to 500 words or less. AXIS has limited half and full tuition scholarships available. Please note these scholarships only apply towards the Tuition. We do not offer scholarships to cover travel, room or board. * No, I don't need financial aid. Yes, I would like to apply for a scholarship. My letter of interest is included in this application (see below). If yes, please state your need for financial assistance. Scholarship application or letter of interest. Thank you for applying to the 2019 Summer Intensive & Teacher Training. This message confirms our receipt of your application. Please keep in mind that the application period will be open until March 8th. We will not be reviewing any applications before that time in order to give equal opportunity to every applicant. Acceptance letters will be sent by April 1, 2019. To be considered for a scholarship, you must include a letter explaining your interest in the Summer Intensive and your financial need (limit 500 words). The Malonga Center has all-gender and wheelchair accessible restrooms. 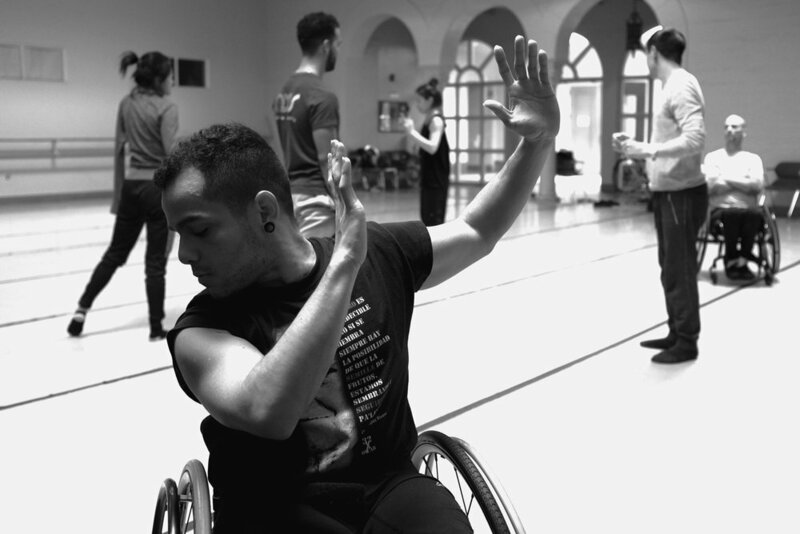 All events at the Malonga Casquelourd Center for the Arts are accessible to those using mobility devices. Front entrance and second floor restroom doors have power operated doors with push and kick plates. Two elevators are available as well as a ramp from the elevators into our third floor studios. While AXIS provides ASL interpretation for select performances and education events, we do not regularly have ASL interpreters available for our in-studio classes. When possible we will work to provide ASL interpretation when requested. Although we cannot guarantee a completely scent free space, our goal is to make our events as fragrance-free as possible for the health and safety of performers, audience, staff, and volunteers with Multiple Chemical Sensitivities (MCS). We request that all people please NOT wear fragrance or scented products when attending AXIS Dance Company events. However we cannot control the use of cleaning products, scents, or common food allergens within the building.